The W124 platform E-class is an unstoppable tank. So you’d think that the addition of an all-wheel drive option would make an excellent car even better. Not so fast. 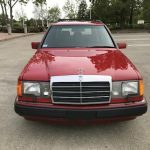 The “4Matic” AWD system offered on the W124 was complex. 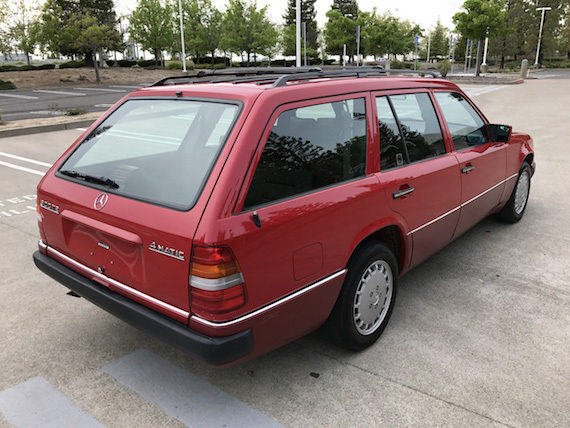 Using numerous electronic sensors to control the locking central and rear differentials, the automatic system was capable of splitting torque between the front and back axles as required: 100% to the back, 35/65 front/rear, or 50/50 front/rear. 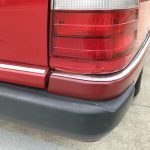 When performing properly, this made the W124 a very competent car in inclement weather. However, the complexity of the system meant that if and when it broke, repair costs could quickly become astronomical. 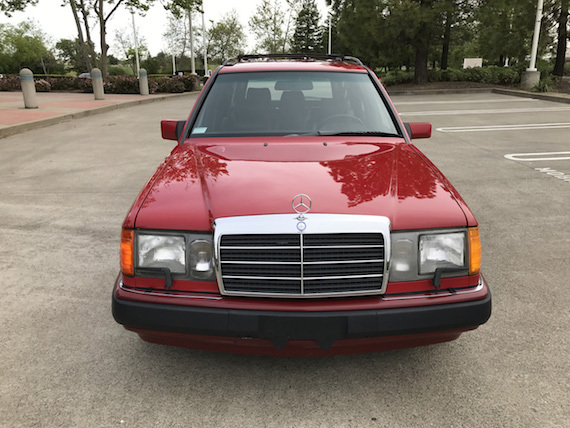 For that reason, W124 enthusiasts tend to pass over the 4Matic, regarding it as a rare example of Mercedes’s over-engineering becoming a liability. 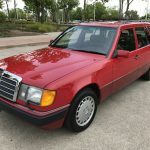 You are bidding on a one-owner vehicle in excellent condition with the exception of a few minor imperfection that you can see in the photos. It was recently purchased in New Hampshire and comes with a Clean Title. It seems to have always been garaged and has the original paint that’s not faded anywhere. 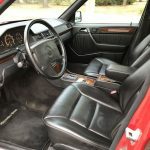 Interior wood trim has no cracks whatsoever and leather still has its original smell. Don’t miss out on this rare opportunity to buy such a hard to find vehicle. 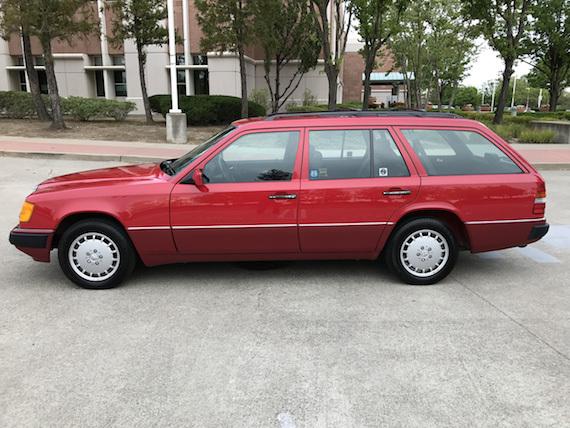 This wagon looks stylish and drives nice and smooth. Come take it home! You will be thrilled to own it. Take a look at the detailed series of 48 pictures below. 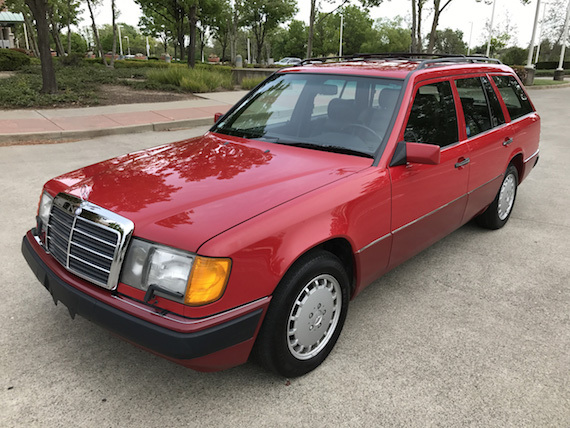 This W124 4Matic wagon stood out because of its relatively low mileage (78k), attractive Signal Red (568) paint and black leather interior, a change from the more usual MB Tex vinyl. 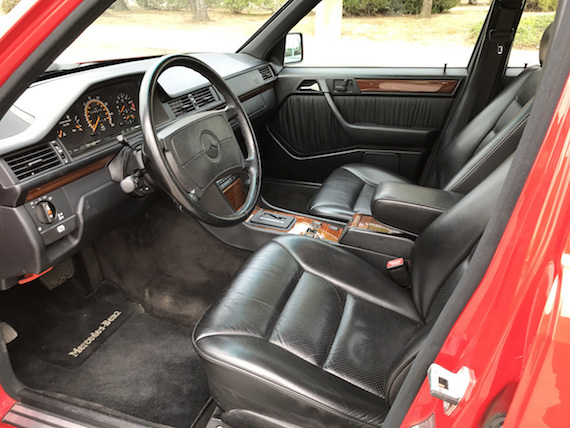 Those seats appear to be in very good shape, as does the glossy, crack-free wood trim on the dash. The rear cargo area has two jump seats, also in leather, that pop up from the floor and offer two extra people the chance to ride facing the wrong way. The exterior looks clean too. It appears that one of the plastic headlight doors has been replaced. Replacement of the other one would probably tidy up the front a bit. 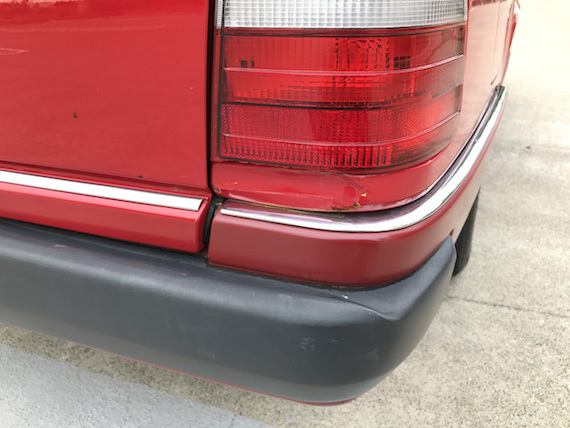 It also looks like the rear right corner of the car has taken a slight whack, causing the paint to blister with what look like the smallest signs of rust beginning to appear. An in person inspection would clarify how bad this is, and whether there’s any more rust lurking beneath the surface. 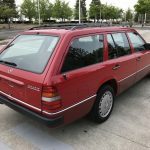 Though listed for sale in California, the seller mentions that the car was sourced from New Hampshire. The $12k asking price is very high. I suspect the car will sit for a while and probably sell for closer to just over half that. 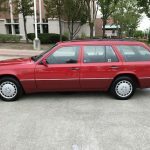 Tagged 1991, 300te, 4Matic, M103, Mercedes Benz, w124, Wagon. This car also has the troublesome 4matic system. 2WD from this era is a far better choice. 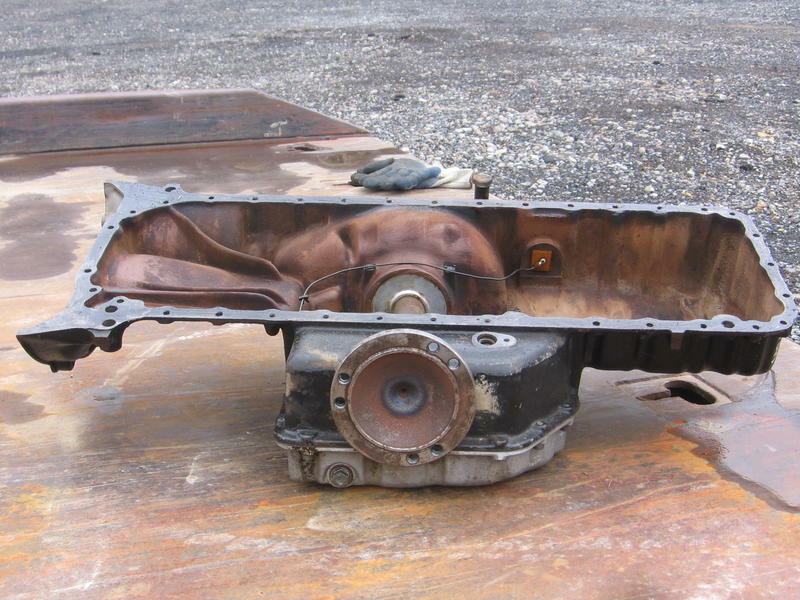 The oil plan on the W124 4matic is a cast iron engineering marvel.